COULD YOU IMAGINE IF THIS NIGHTMARE WAS EVER ELECTED PRESIDENT? 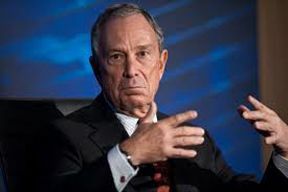 So Michael R. Bloomberg, the billionaire former mayor of New York City, is eyeing a potential run for president as an independent in 2016 because he is galled by billionaire Donald Trump’s dominance in GOP polls, Hillary Clinton’s ethics issues and the rise of socialist Bernie Sanders for the Democrats. Hmm, I am galled he is actually considering a presidential run. Who knew that running for president required that you be a billionaire? The NRA has gained the advantage over Obama, Feinstein and gun grabbing Democrats the longer “We the People” have to think about the issue and use common sense thinking as opposed to the knee-jerk, emotional, exploitative Democrat agenda following the Newtown, CT shooting. The man behind the advertisement is not known for his kinship with the gun crowd: Mayor Michael R. Bloomberg, the nation’s fiercest advocate of restrictions on firearms since the December rampage at Sandy Hook Elementary School in Newtown, Conn.
NRA Executive Vice President Wayne LaPierre lashed out at a wide range of the political opinions held by New York Mayor Michael Bloomberg on NBC’s Meet The Press this morning. LaPierre told host David Gregory that he thinks Bloomberg is ‘reckless’ and that he won’t beat the NRA because of its grassroots support. “He’s going to find out this is a country of the people, by the people, and for the people. And he can’t spend enough of his $27 billion to try to impose his will on the American public. They don’t want him in their restaurants, they don’t want him in their homes, they don’t want him telling what food to eat, they sure don’t want him telling what self-defense firearms to own and he can’t buy America,” said LaPierre. Bloomberg announced last night that he will spend $12 million of his fortune to run anti-gun ads around the country. LaPierre told Gregory that the NRA is not intimidated by these plans because of their vast grassroots and small donor support from around the country. “We have people all over, millions of people, sending us 5, 10, 15, 20 dollar checks telling us to stand up to this guy that says that we can only have three bullets, which is what he said. Stand up to this guy that says ridiculous things like, ‘The NRA wants firearms with nukes on them.’ I mean it’s insane the stuff he says,” LaPierre said. Former Alaska Governor and Vice-Presidential candidate Sarah Palin brought down the house at CPAC 2013 as only she can and at the same time brought the LEFT to utter madness. After making a joke about gun rights, gun racks, and guns Sarah took the opportunity to pause and took a swig from her Big Gulp. 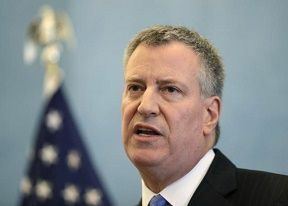 Obviously a not so vale slap at the NYC Mayor Bloomberg and his over-reaching policies. Palin certainly has a way to get a dig in. What’s funny is that the LEFT still cannot get over this woman as she continues to just drive them up the wall. Case and point is that the below video was from a Lefty site where they thought she was offensive. A note to the LEFT, sometimes its just ok to laugh at something that is funny.